Philippe Soupault , born in 1897, was one of the most original poets of his time. He collaborated with Andre Breton on the premiere Surrealist document, Les Champs Magnetiques, and was a co-founder of La Revolution Surrealiste, the seminal surrealist publication. To this day the poems of Where The Four Winds Blow (1920) and Epitaphs (1919) have that modern sense of the personal, the existential observer, always slightly perplexed. Much of what is conventional in modern poetry today was first realized in the innovations of these early poems. Where The Four Winds Blow was published under the Pygmy Forest Press (Albion CA) imprint in 1993 by the late poet Leonard Cirino. It’s a great pleasure to see two of one’s favorite poets across time and space conjoined in these terrific translations of Philippe Soupault’s early poems by Pat Nolan who catches and plays the haunting and funny early century notes just right. 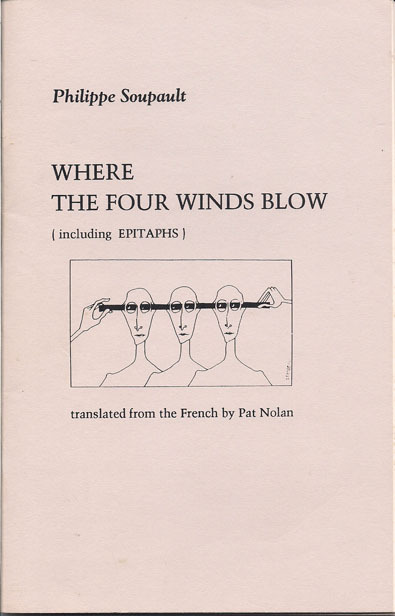 Pat Nolan’s translations get the edge and eye of Philippe Soupault’s witty, shifty and insouciant early poems, often displaying the right touch for the quick change artistry of the poet at work. 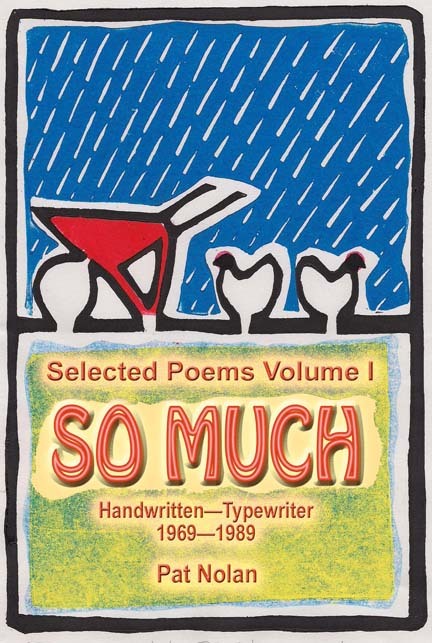 It’s a great pleasure to see Philippe Soupault’s graceful, delicate, and gently witty poems getting more of the attention they deserve.